Founded by Angela Natividad and Mathieu Lacrouts, Hurrah is an advertising agency fully dedicated to Esports and gaming. Among its clients: Coca-Cola, Domino’s, Nestlé and Danone. Angela Natividad is the COO of Hurrah. She grew up in the Silicon Valley and has worked for 14 years in the advertising sector. In 2015 and after spending 3 years at Dare.Win, where she set up the international department, she launched Hurrah with Mathieu. 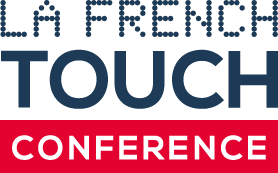 Angela participated in La French Touch Conference in 2018 in Paris. Brilliant and humorous, she chose to set up a business in France. She kindly accepted to retrace her journey with us! 1) What sparked the idea of launching Hurrah? My partner Mathieu Lacrouts and I were already big esports fans. We were working at another agency together, and started wondering why brands weren’t doing more cool stuff for these communities, which are super-engaged for hours every day. And at the time, nobody was addressing them at all. Hurrah was born from that insight. 2) Why did you choose to set up a business in France? France may have a lot of issues for entrepreneurs, but it’s something the country is working on. And unlike in most sectors, France also has the benefit of being a cradle in Europe of esports industry—way ahead of the US in terms of existing infrastructure and how seriously the government was already taking the sector. We knew this was the right place. As an immigrant, it was also important for me personally to be able to create value in France and create an atmosphere with an international way of working. 3) Are there any particular obstacles you had to face when launching your business here? 3. We’re not considered a “startup” since we are a service agency, so were excluded from many “startup” oriented benefits, like being able to set up shop in an incubator. So to protect my visa, I had to keep working in freelance for other clients to sustain an income above the SMIC while also building my company. 3) What kind of advice would you give an entrepreneur who wants to leave his/her homeland to set up a business in France? Spend some time here first and study the market and business environment. Talk to other entrepreneurs who’ve done it. Before coming to France, I read a lot about what challenges I would face online, but I didn’t take them seriously until I actually arrived and learned they were true. Cultural difference is a major factor in what we expect to encounter in new situations. 4) You participated in La French Touch Conference Paris this year. What do you remember about your participation? The team is really lovely and the attendees represented a diversity of work, from classic corporations to tech startups to agencies. They all seemed interested in sharing information and cultivating international bridges. 5) What is your entrepreneurial philosophy? Elon Musk once said that starting your own company is like jumping off a cliff while eating glass. You’re leaping into a massive unknown, and you’re eating glass because you spend whole days solving problems that are different from the ones you are passionate about while constructing your company. In the hardest parts of launching a business, it gave me a lot of comforts to think about that. It’s also been helpful to befriend other entrepreneurs facing similar challenges, and learning that the things that feel like the end of the world are actually situations that everyone faces. This is the hardest thing I’ve ever done. I’m glad I did it, and that I did it here.